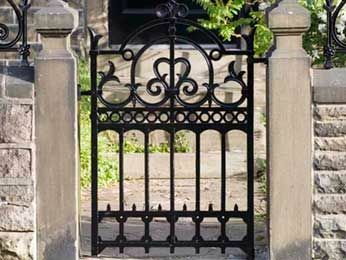 Steel, aluminum and fabricated iron gates and fences cannot compare to the longevity, low cost of ownership or the design and weight of these magnificent and affordable cast iron designs which, because they are stocked, can be shipped same day or next day in most cases. In addition to very economical shipping and crating from our centrally located warehouse in Tulsa, customized shipping requirements including lift gate service and residential deliveries can be accommodated for a modest additional fee. Heritage Cast Iron USA is represented exclusively in North America by the National award winning custom ornamental metalwork at Wiemann Metalcraft operating from our head office in Tulsa and also via select trading partners. 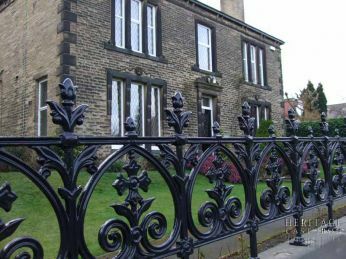 We supply Cast Iron Gates and Cast Iron Fences across North America including Canada to cities with rich cast iron and Victorian heritage such as Oklahoma, New York, Houston, New Orleans, Chicago, Boston, Philadelphia, Baltimore, Washington DC, Charleston SC, San Francisco, Napa CA, Mobile AL and Richmond VA.
We also supply cast iron gates and railings to all major Cities in Canada including Toronto, Montreal, Vancouver, Quebec, Winnipeg, Calgary, Edmonton and Ottawa.